When WeWork announced that the company was going meat-free earlier this year to improve its environmental footprint–and employees could no longer expense a burger or steak on business trips–it was a radical statement for a corporation. The move earned it widespread press coverage and a “Compassionate Business Award” from the animal rights organization PETA. 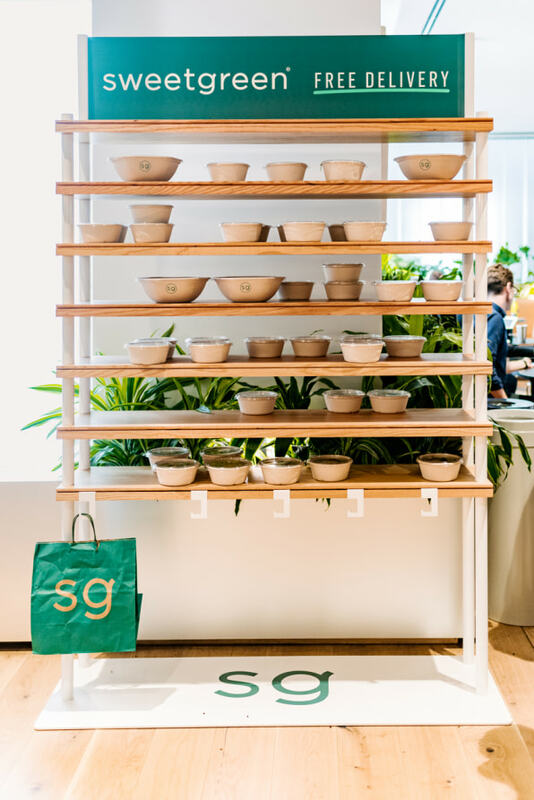 Now, the company is launching a new partnership with Sweetgreen, where startup employees, freelancers, and others who rent coworking space from some WeWork offices can order lunch via Sweetgreen’s app and get free delivery to a kiosk inside the office. With the partnership, WeWork could have continued its impressive meat-free policies and fundamentally changed how tens of thousands of its coworking members eat lunch. But it hasn’t gone quite as far. On the app, anyone ordering from WeWork will see a flag to warn them when a salad has meat–in theory, a nudge that may encourage them to make another choice, but not the radical solution that it could have taken as an organization that just won a second award from PETA (Company of the Year, “for sparking a global conversation about the fact that ditching meat is the best thing that everyone can do for animals and the environment”). The restaurant is working to design a few custom meat-free salads specifically for WeWork to tempt workers further away from meat. But it does already have (delicious) vegetarian options. For WeWork, it might have been an opportunity to offer a tailored menu that wasn’t just healthy and convenient, but meat-free. The company already pulled beef jerky from its public snack kiosks earlier this year. The company calculated that its no-meat policy for employees and company events will prevent around 445 million tons of CO2 emissions over the next five years. But because it has far more members than employees (more than 260,000 members, as of August), the potential impact of changing members’ diets would go further. It raises a question: At a time when there’s a tiny window of opportunity to limit the worst impacts of climate change, how far should companies go to influence what people eat at work? Is it arrogant paternalism to go as far as possible to dictate food choices, or smart climate policy for a company that aims to be carbon neutral by 2023? Should companies with cafeterias, in the same way, go farther than subtle attempts to limit meat consumption and actually take it off the menu? WeWork doesn’t police what people carry inside for lunch, and few people would argue that it should. Its “meat-free” commitment only extends to how it spends company funds. But when it carved out office space for Sweetgreen deliveries–a step that was hugely popular as it began piloting the program in New York City and Los Angeles this fall, with nearly a third of members using the service, and 33% growth in the first three months–it could have decided what to allow inside, while still allowing anyone who wanted a different option to walk outside to get lunch elsewhere. The program will expand to 50 offices in seven cities, reaching thousands of other workers who could also be convinced to have meat a little less often.